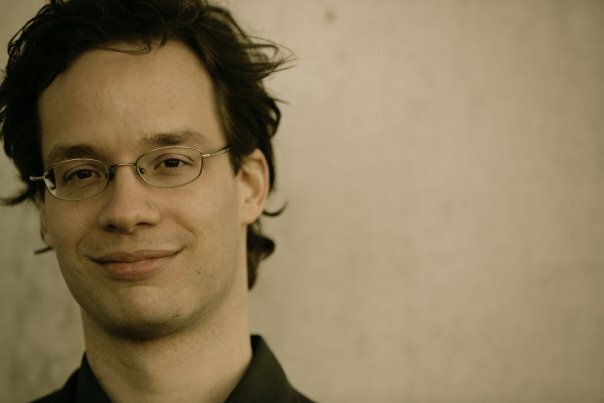 PHILIPP FABIAN KOLMEL. | MOVIE MUSIC INTERNATIONAL. MMI. / CINEMA AND TELEVISION FOCUS. (formely Movie music Italiano). Philipp F. Kölmel was born on September 5, 1973 in Rastatt, Baden, Germany. One of his latest scoring assignments RUBINROT is causing more than a ripple of interest and excitement amongst collectors and critics alike, the powerful and imposing music that the composer has penned is released on Sony Music. 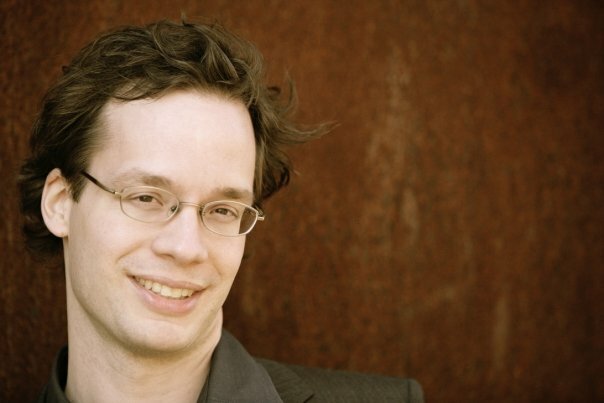 You began writing music for film in 1996, when you worked on KREUZ & QUER, how did you become involved on this project? I was studying to become a recording engineer (Tonmeister) at the conservatoire in Berlin back then. However I was kind of unhappy with seeing the musicians having fun at the recording stage and me as a Tonmeister being more or less uncreative. Film music was always a passion for me so as a connoisseur I decided to change my subject and began to study film scoring in Munich (Bavaria, Germany). To get my first (unpaid) job as a film music composer I put some notes on the pin board in the film college in Munich. A fresher girl named Yasemin asked me to be her first film composer. She hired me many times after that first collaboration and I then started to make a living from my passion. What musical education did you receive, and had you always wanted to write music for film? My passion with music begun with getting piano lessons aged seven. My piano tutors hated me for improvising more than playing and practising the masters on the piano. Later I learned saxophone and double bass. With the double bass I had the opportunity to play in a lot of youth orchestras. 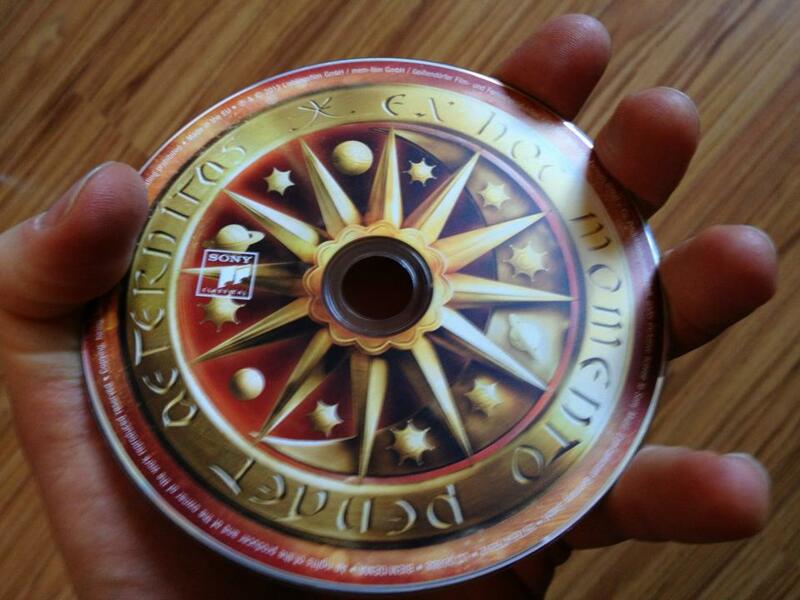 It was a formative time for me. Back in my teenage years I attended some composition competitions and workshops. Plus I played in some bands for which I wrote songs and jazz tunes. I studied recording engineer in Berlin later but switched to a film scoring programme at the conservatoire in Munich. As I am interested in the recording studio, computer technique and music I found out that composing for film could match all of these worlds perfectly. 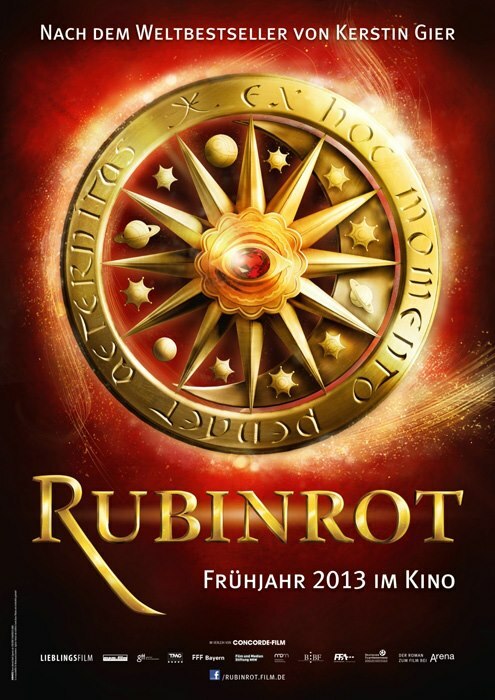 RUBINROT (RUBY RED), is one of your latest scoring assignments, the music is symphonic and highly infectious, what size orchestra did you utilize for the score and where did you record the score? Thank you. We recorded the 72 piece orchestra Staatskapelle Weimar, which is one of the orchestras with the oldest tradition and history in Germany. I keenly loved their sound which was perfectly surrounded by the reverb of the Volkshaus Jena where we recorded the music within seven sessions. As I am a recording studio technique nerd I added and mixed many tracks of my computer mock ups to the live recording. This blend I would say is the requirement of an up to date cinema sound. 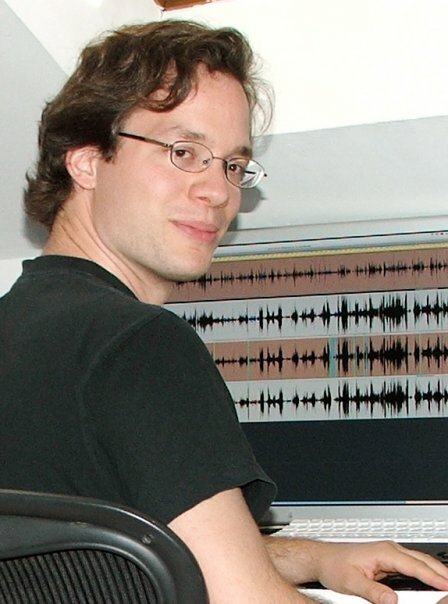 Music mixing engineer Peter Fuchs and I worked intensively and we were very particular and precise when it came to the edit and mix of the score. 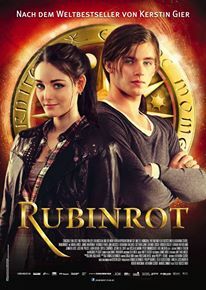 RUBINROT is the first in a series of movies that centre around a time traveller I understand, are you going to be working on any of the other movies in this series? The film business is sometimes a bit nervous. So because of this I can’t answer that question fully or finally yet. But I live in hope that I will do the scores for the complete trilogy. Do you orchestrate all of your own music, or is this something that is not always possible when working on a movie due to scheduling, and do you consider that orchestration is an important part of the composing process? My computer mock-ups of the score are very precise. Every detail of the final recording was demonstrated in my computer layouts before. That is the basis for an approval of the music by the film director. I would get a complaint if the music would sound too different after the recording process. But yes, on bigger projects I collaborate with an orchestrator. He helps me to translate my mock-ups to written score in time. In the case of RUBINROT there were constant tasks; while the orchestrator was working I had to arrange different source music which ran in the background of the movie. At the same time I was examining and revising the orchestrations. What would you say is the purpose of music in film? Film music amplifies the emotions of a movie. A lot of things are impossible to explain with only the eye-minded part of a film. On the other hand the score is kind of an actor. It communicates with the actors on screen. You worked on a comedy TV series, UN HIMMELS WILLEN, which was popular in Germany, it must be quite a harsh schedule for a composer if the series is aired weekly, did you re-use any music from certain episodes within other episodes of the series? UM HIMMELS WILLEN is the most popular TV-series in Germany. I am very happy to be involved for the second year now in this prominent and funny show about the quarrels between some nuns and the mayor of a small fictitious town in Germany. The schedule is manageable because they only produce and release 13 episodes each year. There is not too much music in each episode. You have worked on a wide selection of movies, shorts, TV projects and documentaries, what would you say are the main differences if there are any between scoring these types of projects? For me there are not too many differences. But there is more time and budget involved in movies for cinema. That is why it is more comfortable to achieve a good sound quality for your score when working for movies. Scoring for shorts is sometimes difficult because due to the short running time it is not easy to establish a main theme. You need some time between a re-run of the main theme. If it repeats itself in a short period the music tends to appear corny. Do you think that you have been influenced by any composer or group of composers either from the world of classical music, contemporary or film music? Maybe you won’t recognize it if you are listening to RUBINROT but my first love in music was the German electronic band KRAFTWERK. I have been listening to their music since I was 8 years old. Plus my Father was a big jazz fan. That is why I love the use of more complex harmony. Additionally I was absolutely impressed by the orchestral works of Stravinsky and Bartok. I would say that their way of orchestration taught me the most. I prefer listening to contemporary composers like Ligeti or Penderezky rather than Mozart or Haydn. How many times do you normally like to look at a movie before you begin to get any firm ideas about what type of music you will write and also where music is best placed to serve the picture? I would love to compose to a movie while looking at it for the first time. That would keep me in tension with the movie. But reality is that I am watching the movie two to four times in advance, and then of course I end up seeing the movie 500 times because of working on it etc. In more and more projects nowadays I am allowed to decide where to place music and where not. I rarely go through a spotting session. At what stage do you like to become involved on a project, is it better to receive a script and maybe start working out your ideas from reading this or do you prefer to come in at the rough cut stage of the proceedings? I like to read the script but the film is always completely different in my imagination than the final cut of the movie. Actually I love to hear the dialogue, see the costume and the amount of use of light so that I am able to compose the right notes. The movie is the vision of the director so I have to follow and serve his visions. Composing for a script makes no sense for me. But I need a lot of time to fuse with the movie completely. So the earlier I am able to become involved the better. What is your opinion of the TEMP track, have you had experience of this practise when working on a movie and did you find it helpful or maybe distracting? Sometimes I am happy to have temp tracks because they save me time in finding the tempo and style the director likes. I force myself to just copy the tempo (BPM) and don’t listen to the temps too much. Somehow I would prefer if the filmmakers would be more interested in what we film composers could offer for their movies. But it is rare that directors work without temp tracks. In RUBINROT I was involved very early so the film editor could implant my music in the movie before he was looking on the temp track shelf. How do you bring your musical ideas to fruition, by this I mean how do you work out your ideas, piano, keyboard, etc or a more technical approach ? I improvise and experiment on the digital piano while watching the scenes and listening to the dialogue. If something attracts me from my improvisations I can reactively record it with my MIDI sequencer. Compared to some of my composer colleagues I never switch of the dialogue. After having a piano layout I “colour” it with sampled instruments. It is like a blank canvas being filled with colours hopefully adding more dimension to the project. So basically my work is improvisation plus waiting for some coincidences and magic. 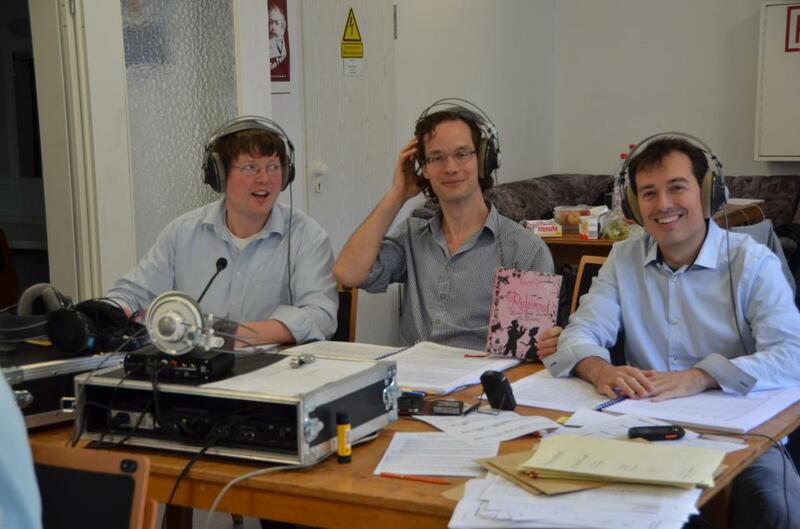 How much music did you compose for RUBINROT, and how much of the score is represented on the CD release of the score? I composed 75 minutes of music. Approximately 57 minutes of music is released on the soundtrack release plus 4 songs from Spanish singer songwriter Sofi de la Torre. When a compact disc is to be released are you involved with the release and do you select what music tracks that appear on any release? Yes, I am very picky in preparing the compact disc. It took me a lot of time to decide and compile the most fitting parts of the score to something like a concept. I also create some title names and like to be present at the mastering process. As you have said you do play instruments yourself, but do you perform on any of your film scores at all? Yes as a pianist and usually as a conductor. In the case of RUBINROT I was afraid of not hearing the little details as a conductor so I decided to sit in the mixing room reading the score and listening to the orchestra. 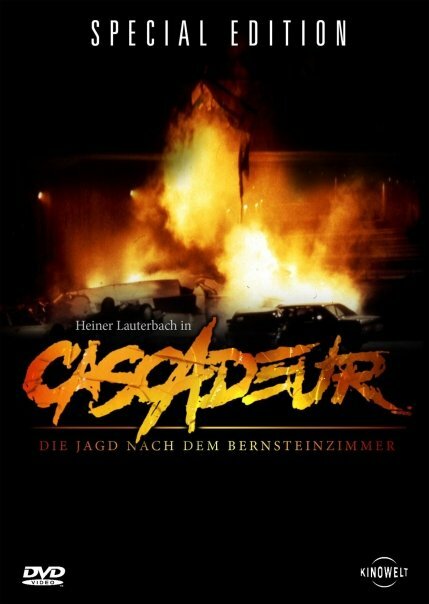 CASCADEUR (1998) was one of your first assignments, what size orchestra did you have for this and how have things changed from then till now regarding studios and technology etc when recording a score? CASCADEUR was my first full size orchestra project. We recorded a 75 piece orchestra in Prague plus a huge choir. Even in these days I later on added a lot of my sequencer tracks to the natural recording. Of course technology has improved and mock-ups tend to sound better now. But in my view things have not changed too much. Scoring for films is a quite traditional craft. What do you do musically away from film and television? I am a pianist in an improvisation theatre where I do nothing different than in my home studio: Improvisations over scenes. 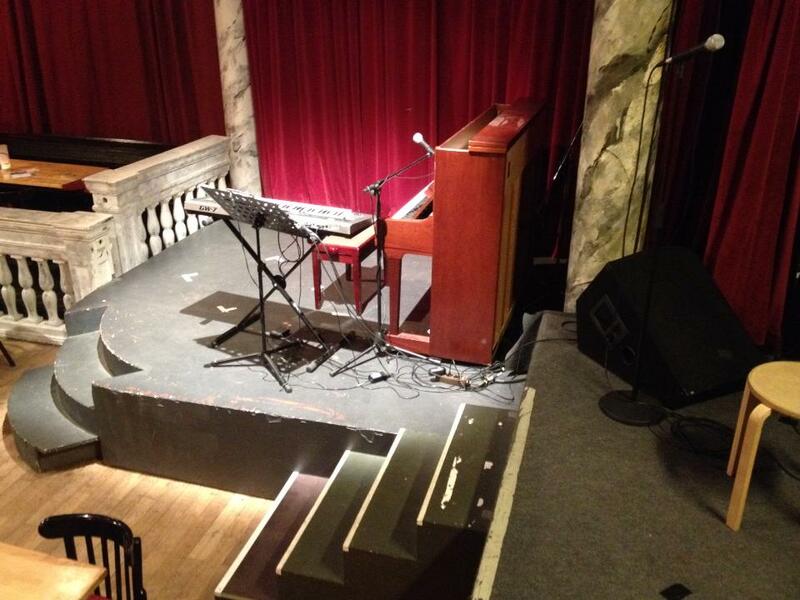 Besides I am accompanying some stand up comedian and cabaret artists with the piano or compose their songs. From time to time I compose classical chamber or orchestra music for the stage. I would love to create a larger project playing my own compositions on the piano together with a small orchestra or band.